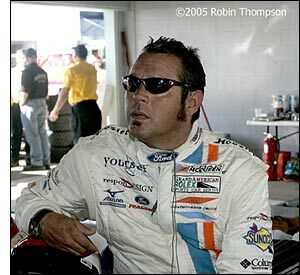 We were reluctant to write anything about Chad McQueen’s accident at Daytona on Saturday, until the picture became clearer. The good news received late on Monday was that McQueen is expected to make a full recovery. Driving the #73 Tafel Racing Porsche, he hit the barrier exiting the chicane on the back stretch, some reports suggesting that the car then rolled. He suffered a broken lower left leg, a pair of fractures to his vertebrae and multiple rib fractures, and is in a serious, but stable condition, in a Daytona Beach hospital. He underwent surgery on Saturday evening.